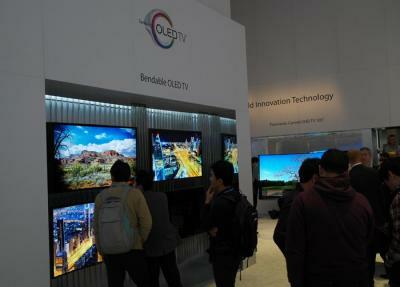 Samsung Display's CEO, Park Dong-gun, said that the time is not yet ripe for OLED TV panel investment for SDC. While Samsung already have the related production and infrastructure technology to produce OLED TVs, they are still waiting for decisions at Samsung Electronics. This is of course in stark contrast to LG, who's far more committed to OLED TVs, and it seems that LG's WRGB technology was a better bet (at least for the moment) than Samsung's direct-emission tech. A report from Korea suggests that Samsung is considering to release a prototype LCD TV that uses a quantum-dots film next week. Sony already commercialized quantum-dots TV, and this is a far easier panel to produce compared to OLED TVs. The reports suggests that a commercial QD product from Samsung will be released soon after the trade show. LG Electronics will also display a prototype QD-LCD TV at the IFA event, but the company hasn't yet decided whether to turn that into a product and will not invest heavily in QD panels as they are putting more focus on OLED TV at the moment. The only two areas where LED/LCD might see significant improvements are QD for enhanced colour gammut, and full-array LED micro-dimming for enhancement constrast (albeit full-array LED will jack up the price way higher). But at the end of the road, LCD will still have lesser contrast ratios and weak viewing angles compared to OLED or plasma.